As I sit on the train speeding away from Calais to warmth and security I can only feel a sense of being utterly powerless. 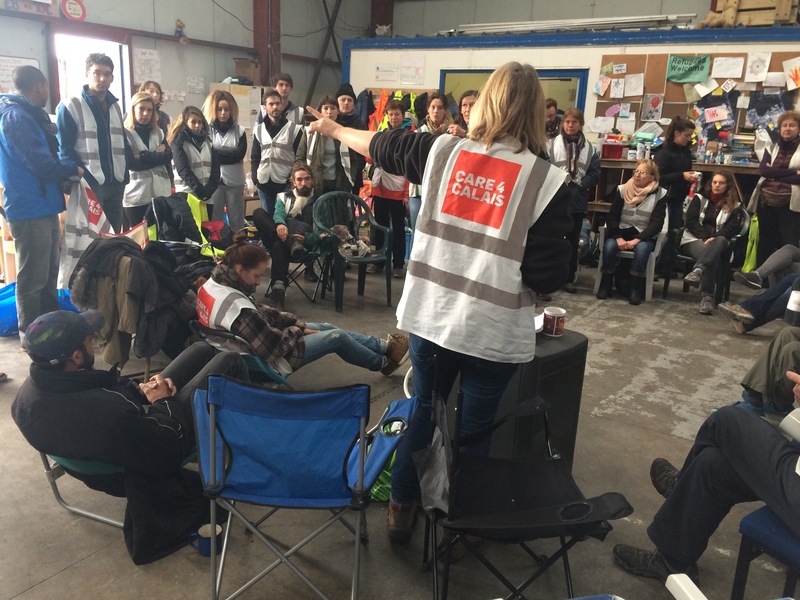 Following my return from life on two wheels I took a spontaneous decision to spend a couple of weeks volunteering for Care4calais– a refugee support charity. If I thought that the last few months were a time of reflection then I had no idea how the last couple of weeks would slap me with the harsh realities of the world. Two weeks ago 6,000 plus refugees were dispersed to 160 “welcome centres” around France. A specifically unwelcome stance taken by the French government with a thinly veiled aim whereby fragmentation weakens, isolation deepens. 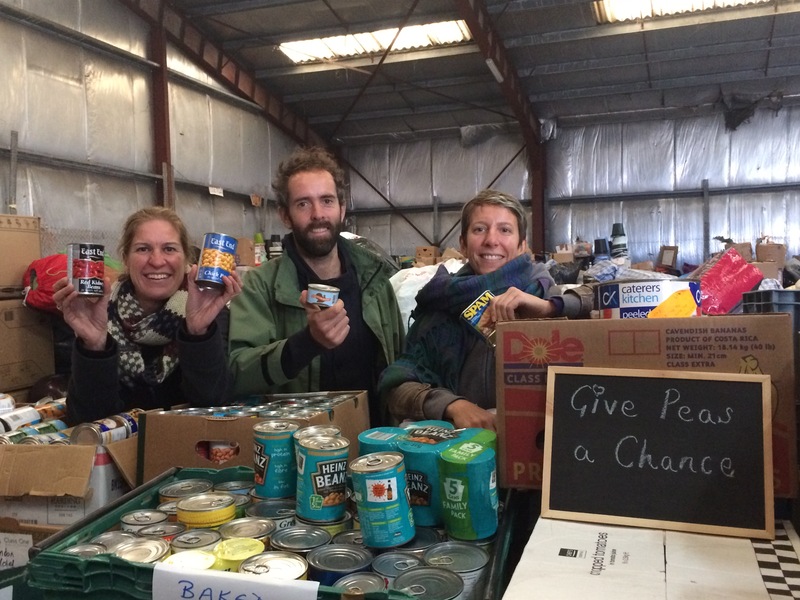 The work entailed much sorting of donations – cardboard box packing, shifting, loading and dispatching. With the jungle demolished and refugees dispatched it was a daily changing environment. Information gleaned from refugees was that in some centres (not all) there wasn’t enough food and warm clothing. Translators are few and far between so documentation and legal issues have become even more confusing and complex. Refugees have four weeks to make an asylum claim for France but for the UK they have to be on British soil to claim asylum. A vicious web of inter governmental “not my problem” with the lives and futures of people hanging in the balance. It leaves desperate men, women and children with hard choices. Either to pay (another) unscrupulous people trafficker; try and jump in the back of a lorry without being arrested, or hideaway on a train. I have heard stories of each. 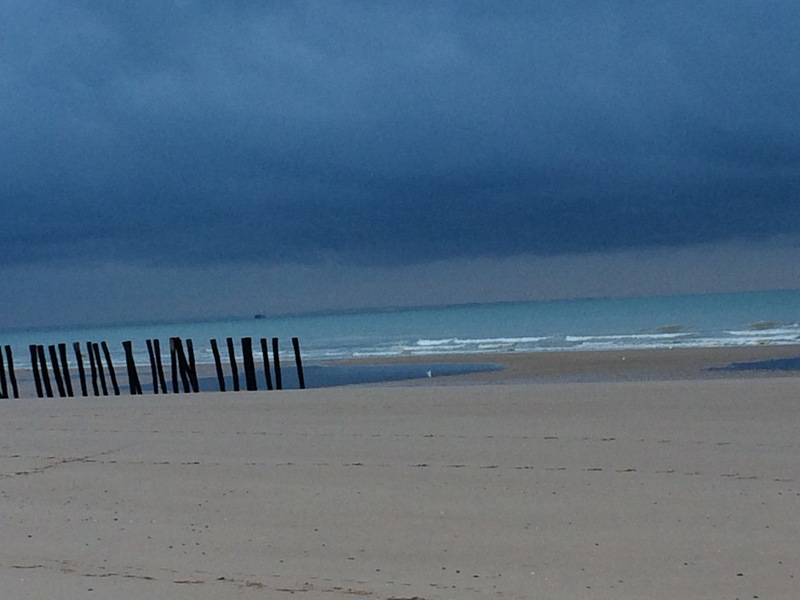 With another camp in Dunkirk there is an irony that 66 years on and the beaches of Dunkirk still hold salvation for people hoping to be saved. The other option of Paris offers a faint hope but like lines in sand they are scrubbed away as the strong arm of the authorities bear down. I met Omer from Sudan who tried every night of the six months he was in the jungle. This is after months of travelling up to Libya and then a terrifying 4 hour boat trip to Italy. Omer can’t swim. Those risks and efforts are not the actions of a man who has made that choice lightly. European salvation? I don’t think so. He is now one of the increasing population of police evading wanderers sleeping under bridges and park benches with one small ruck sack to his name. The jungle may have been obliterated but the unerring determination of many for a better life has not. The stories I hear of people fleeing war or persecution in Afghanistan, Sudan, Iraq, or Syria is enough to persuade me that we have a duty to our fellow man to provide basic needs of food and shelter. 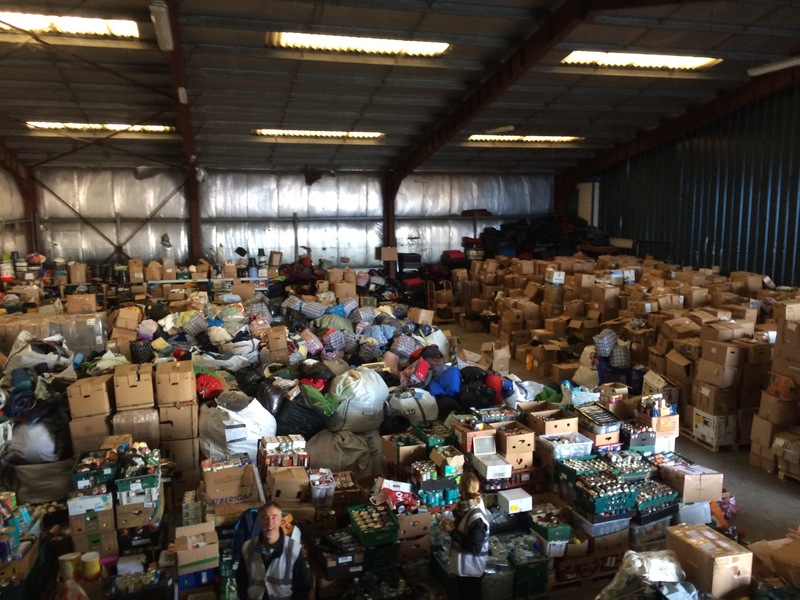 Care4calais are In the process of reinventing the way they work – replacing the daily distributions of donated clothes and goods that previously went into the jungle to establishing the need of refugees now spread far and wide. People continue to arrive daily into Calais only to be rounded up and put in detention centres. Just before I left I heard of an Afghan family with two children under ten who had been sleeping in a forest outside Dunkirk after being released by the police. On the flip side the collective actions of donated clothes and bedding, hours spent sorting through boxes in a big warehouse like a giant jumble sale, and vans of sleeping bags driven through France’s autoroutes does restore my faith in humanity. I don’t know enough about global politics to make an argument for why every man woman and child should stay but on a human level I see a basic need for every person to have the right to the warmth and safety that I have. Volunteers of all different ages, nationalities, backgrounds and religions have been spurred into action with the same wish to feel that there is an alternative movement. I’ve met yogis from Sevenoaks, nurses from Cumbria, students from America all of whom have felt compelled to do something, however small. And this is where we have to hold our hopes. P.S I have been asked by a couple of people how they can help. I am by no means asking for more donations as everyone has already been so supportive of my cycle odyssey but if you feel compelled then I recommend Care4calais as a grass roots organisation who really are on the ground making as much of a difference as they can.